| CNBCAwaaz Smart Cities of India - How Jaipur can become One? CNBC Awaaz Smart Cities of India: How Jaipur can be the next Smart City of India? CNBC Awaaz Smart Cities of India – Jaipur Edition took place on 30th June 2018 where a panel of specialists discussed about the way in which information technology is contributing in making Jaipur a Smart City of India. What exactly a Smart City is? There is no universal definition of a Smart City. Each city has its own requirements based on which they can be defined as a Smart City. It is basically related to the infrastructure and use of technology to improve the living standard of the citizens. A city which incorporates the information and communication technologies (ICT) to reduce costs and resource consumption and at the same time engage more effectively and actively with its citizens with the use of high tech communication technology. The regionalization of the practices that bring the ICT and the people together to promote innovation and advance the knowledge that they offer. What is the need of Smart City? A smart city is an urban region with modern technological infrastructure that benefits every section of the society – the residents, business personnel, and the government. The smart cities are considered as the driving force behind the economic growth of the country because the huge population in such cities is the biggest market in world. To promote use of mixed land in area-based developments – planning for infrastructure development in the areas of unused landmass with compatible activities that make land use more efficient. To expand housing opportunities for all. To create walkable localities by reducing congestion, air pollution and resource depletion, boosting local economy, promoting interactions, and ensuring security. The road network must be rebuilt or revamped for not just vehicles and public transport, but also for cyclists and pedestrians. Necessary administrative services need to be offered within the walking distance. To preserve and develop open spaces like parks, playgrounds, and recreational spaces to promote ecological balance, reduce the urban heat effects and enhance the quality of life of the citizens. To enhance transportation services like public transport, last mile para-transport connectivity and transit-oriented development (TOD). To make governance citizen-friendly and cost-effective – online services bring accountability and transparency and the same time it reduces cost of services as the citizens can avail the government services on their mobile devices without having to go to municipal offices. Creation of online groups to listen to the citizens’ voice and feedback and monitoring the welfare programs and activities online will bring the government closer to the ground level. To give an identity to the city based upon the various economic activities like cuisine, health, education, arts and craft, culture, furniture, textile etc. To apply smart solutions to infrastructure and services to develop the area in a better way. For example, using technology to make the areas less prone to disasters, decreasing resource consumption, providing less expensive services. How to transform a City into a Smart City? Majority of the smart city visions heavily rely on big data and internet of things (IoT) even when there are more basic problems that require attention. For example, to address the issues related to traffic congestion, more focus should be given to improve public transport systems instead of exploring data dashboards and citywide sensing projects. The goal of smart city must be to bring together different communities (the public and private sectors, academia, volunteers and business) and spread communal harmony. The smart city projects must communicate their vision to the people and at the same time capture people’s imagination so that they both can work together to achieve the common goal. Open data is crucial to create an ecosystem for innovation. Public sector can be reluctant to share the data with people, but if they do, it will cost them far less to deal with certain issues with the people’s opinion and ideas. You cannot resolve a concern completely without reaching the grass root level to identify the source and reason of the concern. Common people, if given opportunity can contribute a lot more to the society as a whole, as they are the most affected ones. Starting from the large projects often led to technology failure whereas breaking-down a project into small pieces often works better. Designing a city from the ground level and then gradually developing its infrastructure is a better approach than directly focusing on the infrastructure without looking at the basic concerns. It is pretty early to calculate costs and explore the benefits of the smart technologies for society and business. While working on a smart city project one must use a more cautious approach is needed as privacy is complicated issue that need proper attention and resolution. A smart city project aims at bettering the lives of the citizens. It will irrelevant to them if they don’t know how to use the new technology. Not many citizens can pull live data from an API or set-up a new sensor network to monitor air pollution. Until more and more citizens are made to learn the technology, a smart city project continues to being a little more than a marketing tool for big business for them. As old people say, “sharing is caring”, all the cities must share their experience and evidence so that no one has to start from zero. They can blog about their experience, or form network to share their IoT pilots. The new projects contain enormous opportunities to think beyond and leaving the old tech behind. How is WeDigTech contributing in making Jaipur a Smart City? One of the primary technologies that can help a city become a smart city is Internet of Things (IoT). IoT is the network of physical devices that are embedded with technology which let them connect and exchange data. This facilitates direct integration of the physical world into computer-based systems, which improve economic benefits and reduce exertions. WeDigTech Solutions Pvt. Ltd. is the industry leader in the development of IoT based mobile applications. They have developed an IoT device named OVAL which aims at making our homes smarter. The OVAL device creates a virtual map of your home through sensors and the app connects your phone with those sensors. This is their first step in making Jaipur a smart city. The future prospects include Smart Parking System based on IoT. The objective of this system is to improve the parking facilities of a city and thereby aiming to enhance the quality of life of the citizens. The team of CNBC Awaaz Smart Cities of India visited Jaipur to explore the unlimited potential that Pink City has shown in terms of Travel, Business, Investment and Information Technology. The event took place on 30th June at Hilton Jaipur, presented by Wonder Cement and powered by WeDigTech Solutions Pvt. Ltd.
We would like to thank Arya Group of Colleges for their educational support, Bikaji Foods International Limited for taking care of the hunger, Insolation Energy Pvt. Ltd. for providing the solar energy, Bhartiya Skill Development University, Universal Autofoundry Limited, and Surana Jewellers of Jaipur for associating themselves with the event that marked Jaipur as the next Smart City of India. 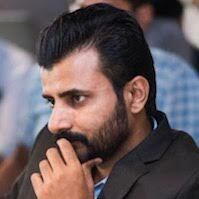 Mr. Sumit Srivastawa is a computer science graduate and MBA with 10+ years of experience in diversified domains like technology, business development, mentoring & training and building social enterprises. 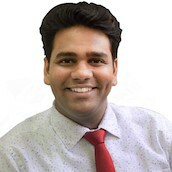 Mr. Srivastawa offers a truly unique perspective which focuses on learning with fun in combining the principles of personality transformation. With over 50+ sessions conducted in very short span of time at renowned universities in India including IITs, he is truly a versatile person. He tailors his seminars to precisely accommodate the uniqueness of every individual.